PHOENIX – Gov. Doug Ducey on Monday called a special legislative session to battle the opioid epidemic in Arizona, asking lawmakers to fund and expand healthcare. The governor, under what he calls the Arizona Opioid Epidemic Act, is asking lawmakers to dedicate $10 million to improving health care access for uninsured or underinsured Arizonans, increase access of the overdose-reversal drug Naloxone and introduce a Good Samaritan law to encourage people to call 911 if they see someone suffering from an opioid overdose. The session, which started Monday afternoon, could send a bill to the governor’s desk by the end of the week, according to Patrick Ptak, a governor’s spokesman. Janice Morrison knows addiction intimately: Her son, Brett, started using opioids after a snowboarding accident, leading to years of heroin addiction. Now, Brett is about to celebrate two years of sobriety. 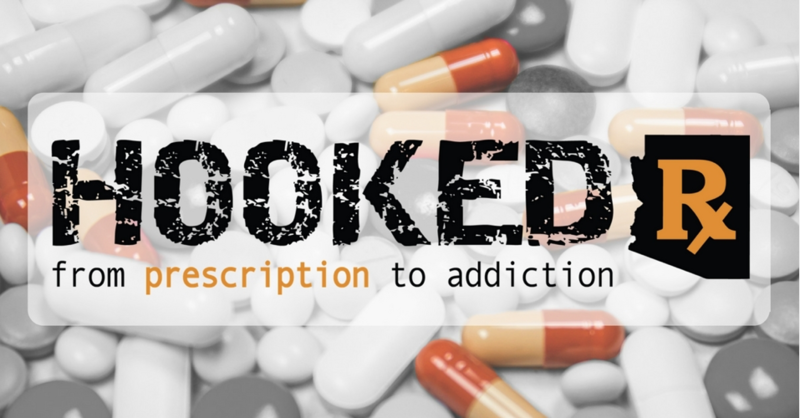 He works with addicts and speaks publicly about his experience with addiction. But for Morrison, the work isn’t done. She has spent the past few years fighting for a Good Samaritan law. Legislation for a Good Samaritan law to protect bystanders from prosecution had been proposed in previous session but never made it out of the Legislature. She reflects on a friend of her son who overdosed and died in a room full of people afraid to call 911. “This should have been done ages ago,” she said. The Arizona Department of Health Services said a survey of mainly health care professionals found that nearly 75 percent believe enacting a Good Samaritan law should be a top priority to alleviating the opioid crisis. The past six months have been particularly deadly, according to the Department of Health Services. From June 15, 2017, to last week, 812 Arizonans died of suspected opioid overdoses. 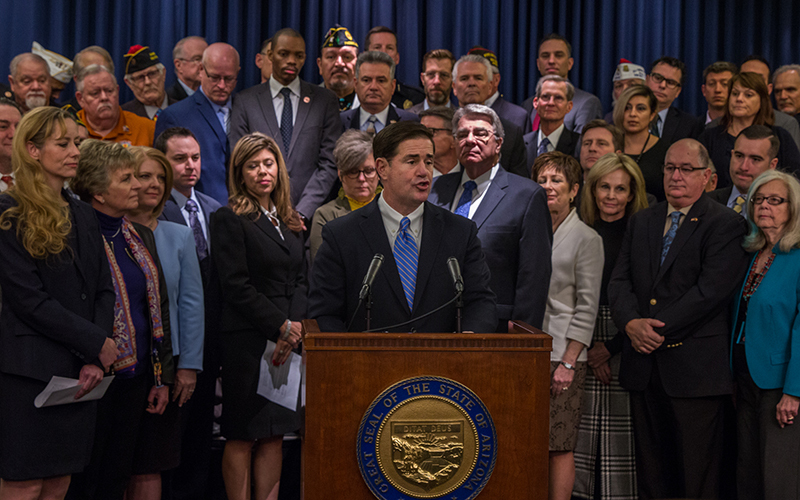 Ducey addressed the human cost of the crisis in his State of the State earlier this month. Senate President Steve Yarbrough, Senate Minority Leader Katie Hobbs, Speaker of the House J.D. Mesnard, House Minority Leader Rebecca Rios and health officials attended Monday’s announcement of the special session.